Apple released a statement Thursday addressing the company's controversial decision to slow down older phones as a means of protecting battery stability. While the company said there has been "a lot of misunderstanding about this issue," it apologized to customers and said it is slashing the price of the out-of-warranty iPhone battery replacement for the next year, bringing the cost down to $29 for anyone with an iPhone 6 or later, starting in late January. 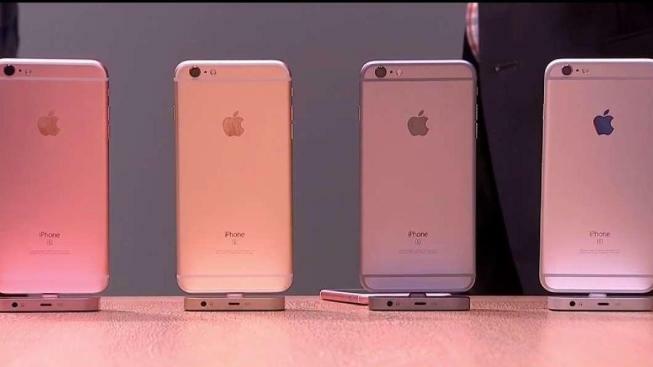 A new software update will also hit early next year giving users more insight into battery life, CNBC reported. The company also said in its statement that it "would like to clarify and let you know about some changes we're making. First and foremost, we have never — and would never — do anything to intentionally shorten the life of any Apple product, or degrade the user experience to drive customer upgrades. Our goal has always been to create products that our customers love, and making iPhones last as long as possible is an important part of that." Read the company's statement in full here. Uproar over the battery slowdown gained attention earlier this month after a Redditor posted that they had noticed an increase in their phone's processing speed after replacing the battery. As CNBC reported, software company founder John Poole went on to research the claim and found that iPhone 6s models running iOS version 10.2 and 11.2, as well as iPhone 7 phones running iOS 11.2, were more likely to have lower processing speeds. Then, Apple confirmed Poole's findings, explaining the slowdown as a result of the company trying to "smooth out the instantaneous peaks only when needed to prevent the device from unexpectedly shutting down" as batteries aged. But the company's explanation didn't satisfy angry users, who took to social media to complain that they had not been informed about the change nor had they been given an option to replace the battery — instead of buying a newer, faster iPhone model. Shares dropped 2.5 percent Tuesday — also dinged by analysts predicting lower-than-expected demand for the iPhone X — and only partially recovered by Thursday. "The error — if anything — was not being more transparent," he said. "They were legitimately trying to make people's iPhones last longer."